Too often, the lack of cooperation between suppliers and users of chemicals leads to an unnecessary over-consumption of chemicals and the generation of hazardous waste. It is a problem of profit: Conventional management approaches for the business with chemicals are based on turnover. Producers of chemicals are driven by the assumption that “The more you sell the more you earn”. Unfortunately, this approach often encourages the inefficient use of chemicals and the generation of hazardous waste. It can hinder innovation, and may lead to a dynamic that is linked to the unsustainable management of chemicals. Read the article: "Chemical Leasing - The Solution to Managing Chemicals Sustainably: 12 Things You Need to Know" to learn about the key aspects of Chemical Leasing. Chemical Leasing is a service-oriented business model that shifts the focus from increasing sales volume of chemicals towards a value-added approach. The producer mainly sells the functions performed by the chemical and functional units are the main basis for payment. 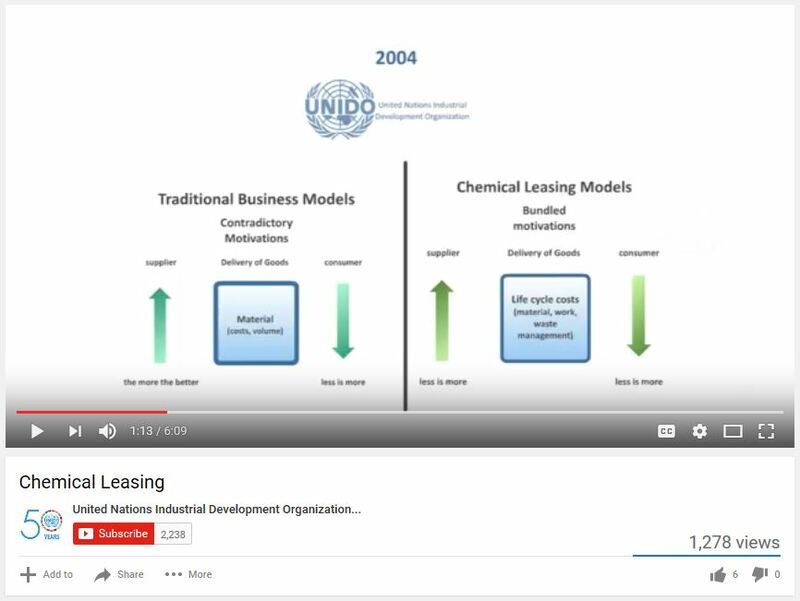 Within Chemical Leasing business models the responsibility of the user and the supplier is extended and may include management of the entire life cycle. Key elements of successful Chemical Leasing business models are proper benefit sharing, high quality standards and mutual trust between participating companies.